We start our first tour at the Lungarotti Cantina, near Perugia the largest of our chosen wineries. From there we drive to San Feliciano, a charming small fishing village on the shores of Lago Trasimeno where you will enjoy a traditional Umbrian lunch with a set menu choosing between meat or fish based dishes (vegetarian alternatives available) in the ‘Il Cainone’ restaurant beside the Lake shore, with time after to stroll along the lakeside or sip a coffee. In the afternoon we take you to Pucciarella Cantina to taste their superb range of red & white, sparkling & dessert wines, cheese and oil. If time allows we can also take you to visit the nearby village of Corciano, a wonderful example of a medieval town, perfectly preserved. 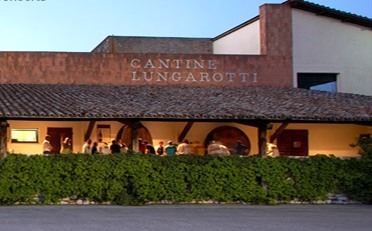 Cantine Lungarotti Wine, culture & hospitality are the Heart and Soul of the Lungarotti Group. Lungarotti is synonymous with Torgiano, the region near Perugia which gave birth to Umbrian wine. Founded by Giorgio Lungarotti in the early 60’s, the company now has at its helm the sisters Chiara Lungarotti e Teresa Severini. Their hallmark commitment to the company and keen eye for innovation has infused the Lungarotti Group with new energy, strengthening the family stewardship as a guarantee not only for the present but also for the future. First we will take a tour around the production facilities followed by a wine tasting where it is suggested we taste three wines – Robesco, a Rosso di Torgiano(DOC – Sangiovese 70%, Canjola 30%) Torre di Giano, an Umbrian Bianco (IGT- Vermentino 40%, Trebbiano 35 %, Grechetto 25%) & Castel Grifone, an Umbrian Rosato (IGT, Sangiovese 70%, Canajola 30%). Other wines may be tasted on request. We chose this restaurant because it is a family run business located on the edge of San Feliciano and specialises in sea fish, meat alla brace (grilled meats) and pizzas. House Wines are from the Pucciarella vineyard which we will visit in the afternoon. I'm interested in your Wine Tour 1 - Umbria - Perugina Tenute, please contact me with more details and to confirm the dates.